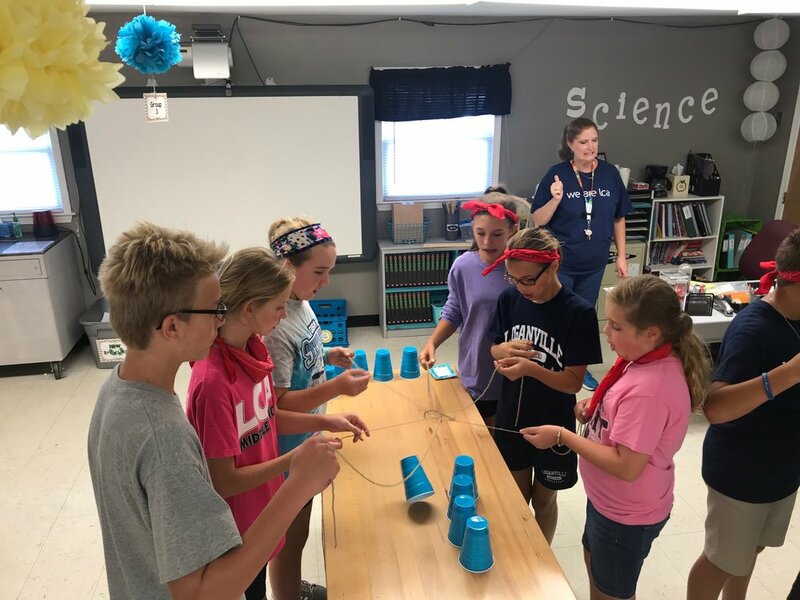 While the high school students were away at Alpha Camp, Loganville Christian Academy held its first annual Middle School camp at the LCA campus last week from August 9–10. 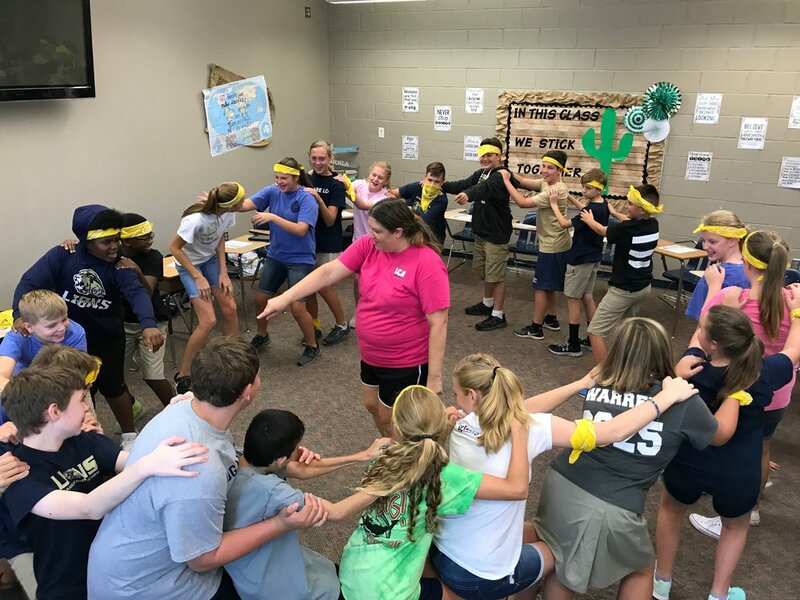 Created under the leadership of LCA's newly appointed Middle School assistant principal, Dr. Nicole Pourchier, along with the Middle School faculty, Camp Watchamacallit was designed to foster intentional community among what is known to be some of the most difficult grades for students to navigate. Dr. Nicole Pourchier noted, “As a whole school we are constantly dreaming about what it would look like to create an environment in which every child, regardless of age, would wake up and be excited to come to school. In my new role as Middle School assistant principal, we are on a mission to create a model school environment—the kind of place where sixth, seventh, and eighth grade students want to be, even when things are difficult in their lives. 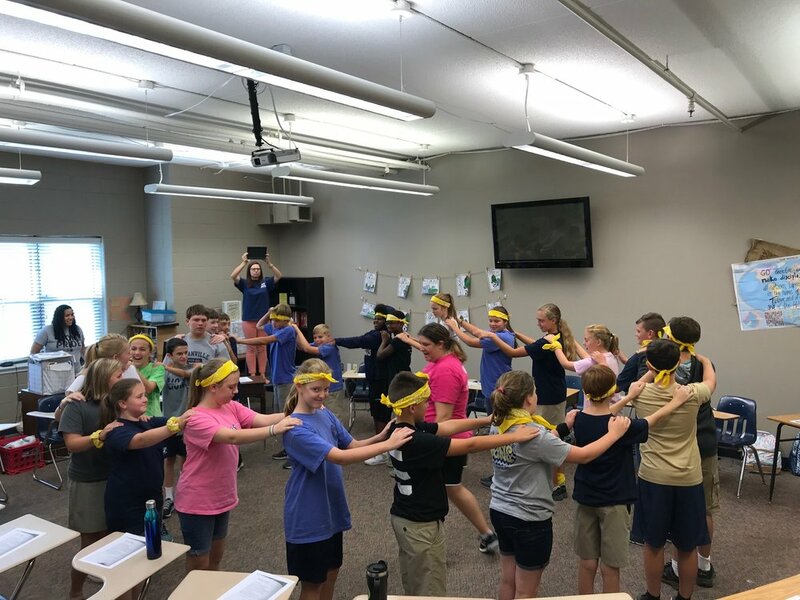 We kept going back to the phrase: ‘Everything will be okay if I can just get to LCA.’” According to Dr. Pourchier, the biblical themes for the Middle School camp were inspired by Bob Goff's new book Everybody Always, and the focus during camp was on loving God, loving ourselves, and loving others. Camp Watchamacallit created many opportunities for critical thinking, collaboration, creativity, and negotiation. Placed in teams of five, each group created their team name, designed a banner, and a coat of arms. The students also had a voice in the design of their camp T-shirts. Over the course of the two days, teams participated in tournaments, created videos, performed STEM challenges, and participated in a bullying awareness discussion that led to signature of a pledge created by the student body. One of the students’ favorite sessions was modeled after the Netflix series Nailed It! The students were shown a picture of a dinner plate, and then they had to work in groups to recreate the photo using all dessert foods. For example, the winning team created a hamburger using Moon Pies, brownies, and Swedish Fish. (See photo below.) 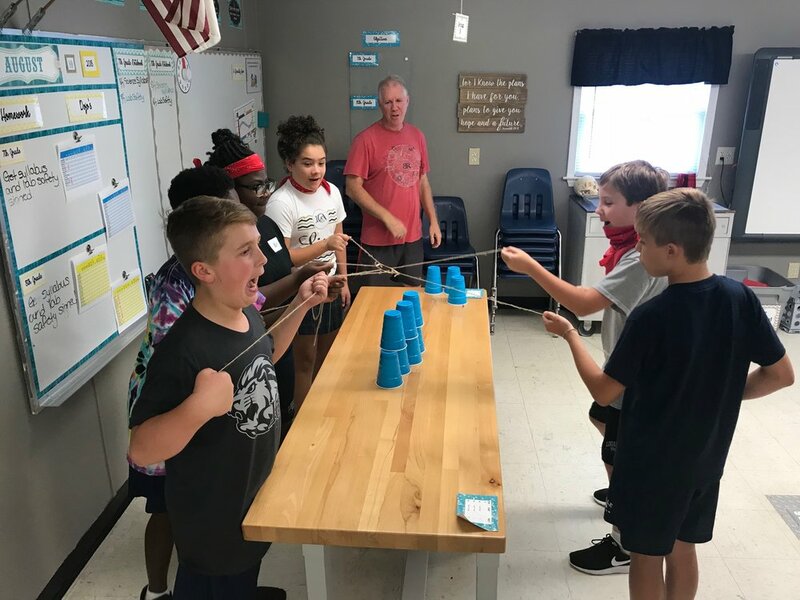 “It was an incredible start to the school year watching our Middle School students interact with each other and work together during all of the different sessions. It was a great time watching them love like Jesus,” said Miss Karen Wages, Middle School history teacher. Today during lunch about a dozen, random students were asked to complete the following sentence: My favorite part of Camp Whatchamacallit was . . .